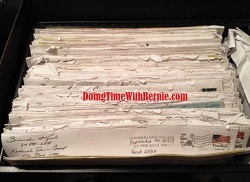 DoingTimeWithBernie.com: Bernard Kerik: The Kim Kardashian of Prison Reform? A Prison Pimp getsa voice on #JusticeReform ? Bernard Kerik: The Kim Kardashian of Prison Reform? A Prison Pimp getsa voice on #JusticeReform ? Eight-time convicted felon and one-time, short-lived, “made” #NYPD Commissioner, Bernard Kerik, now claims to be the “voice” of justice reform including prison reform. Bernie truly believes his “voice”, alone, is enough to contribute. His only knowledge on the broad subjects of prison reform is derived primarily from Bernard Kerik’s own prison time and present sentence serving three years’ probation. He does nothing but talk. Is that enough? Why is his voice important? Symbolism over Substance is the norm these days. In my recent blog post, “Bernard Kerik on Prison Reform: Wrong, Dumb, Liar or all three? ;Bernie Kerik Unchallenged by Drive-By Media", I detail how wrong or vague Bernard Kerik has been on this subject and the pass the media has given him at every step. Should a man so wrong and uninformed on the topic of justice reform and prison reform genuinely be the “voice”? Undoubtedly, groups like Famm.org, Charles Koch Institute, Mediaite, NBC News , Today Show, Al Jazeera USA, Fox Business News, WABC NY radio and other local media know Bernie Kerik’s name will get recognition, for good or bad, factual or misleading. 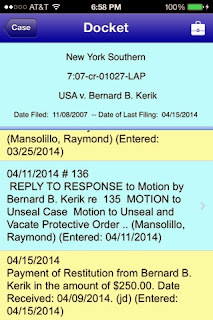 I suppose the fact Bernard Kerik’s content is misleading and unsupported means very little. Not all media has been fooled. Check out this YouTube clip posted by Lionel “Kerik v Tacopina”. Bernie has been seen on every network and cable news program with the same “Bernie Whining Tour” speech over and over again: draconian, collateral consequences, those poor young black men from DC, 5 grams, on and on…. Should a felon get a chance? Of course. However, a felon who is unapologetic, unrepentant, who continues to scheme, manipulate and conspire should not! A felon who does not ask forgiveness and maintains he was a "target" of the same government to which he is pleading reform should not! 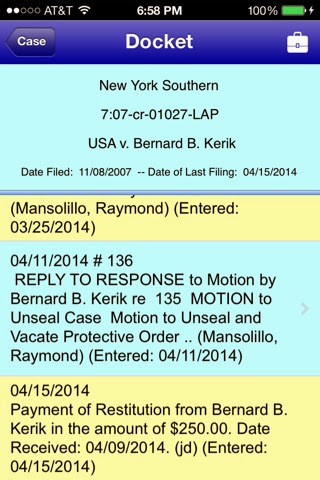 I know Bernard Kerik does nothing without a payoff. That’s exactly why Bernie went to prison! The current wave of mandatory minimum reform was started in legislation during the time Bernard Kerik was in prison. Bernie Kerik is certainly not responsible for that movement. Bernard Kerik is most likely hoping for a Presidential Pardon for his “good works”, playing the sympathy card or some other pathetic publicity in order to stay relevant in the news.